It is my pleasure to welcome you to Trinity College. You will find Trinity to be a warm and friendly place with exceptional facilities, excellent staff and an outstanding sense of community. Our student centred focus enables us to develop positive and confident young men and women ready to change the world for the better. We pride ourselves on fostering a love of learning and a love of life. Our schools have a solid Christian foundation, in the Anglican tradition, to ensure the personal and spiritual development of each student. 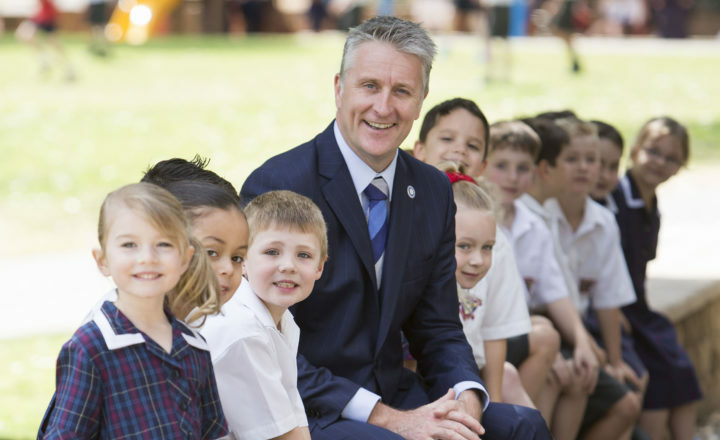 The dedicated staff are well resourced and committed to ensuring a culture of respect, support and success; the spirit of 'doing your best' penetrates every area of Trinity College. Our students thrive with clear behavioural expectations, and their talents are nurtured by our extensive curricular and co-curricular programmes; we strive to find opportunities for each individual to shine. Trinity College believes a positive educational experience changes lives and builds communities. When you come to Trinity College you are coming to a community that does not begin and end at the School gate; it permeates the lives of thousands in the Northern region of Adelaide. I encourage you to learn more about the Trinity community by visiting us. Please call our enrolments officer for a tour time, as our door is always open.